The other type of slipped disc that can cause the pain in the back is a result of compression injuries to the disc. Excessive axial load or weight-bearing leads to fractures of the vertebral end plates. The materials of the nucleus pulposus may be exposed to the blood supply of the vertebral body as a result of the end plate fracture. There will be an increased load on the annulus fibrosus when the degradation of the nucleus pulposus happens. It is highly possible that there will be a pain if the degradation process of the nucleus reaches the outer third of the annulus fibrosus. This is because the outer third of the annulus fibrosus is rich in nerve supply. 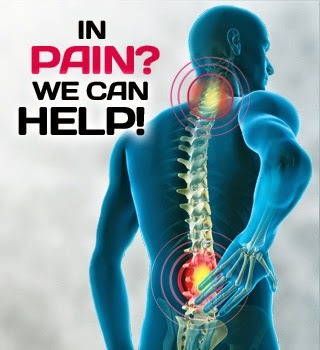 Learn more about slipped disc or herniated disc treatment in Kuala Lumpur. 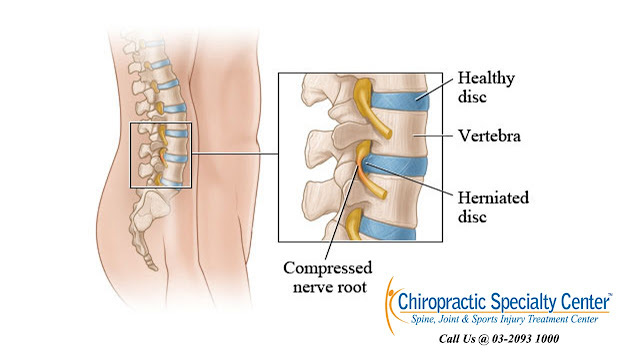 Patients with this type of compression injury of the disc may complain of deep-seated local back pain with or without referred somatic pain to the buttock and lower leg. This is a result of both chemical and mechanical irritation of the pain-producing receptors in the lower back. Apophyseal joint, or the facet joint, is another common site of injury that can result in low back pain. There are a few types of damages of the apophyseal joints that are capable of causing irritation to the pain receptors. For example, fractures of the subchondral bone, capsular tears, capsular avulsions and bleeding into the joint space. For more information our Chiropractic and Physiotherapy center in Malaysia or inquiries, please contact us at 03-2093 1000.